It is still less than a year since the European Union gave birth to, in Pushkin’s words, “neither son nor daughter, frog nor mouse, but a creature none had seen before”. The “creature” we are referring to is the long–awaited financial mechanism for trade with Iran, which bears the name of INSTEX (Instrument in Support of Trade Exchanges). France, Germany and Great Britain have finally announced the joint creation of this instrument, which enables them to comply with their obligations under the 2015 nuclear deal concluded with Iran (officially referred to as the Joint Comprehensive Plan of Action, or JCPA). The aim of this document is to authorise trade between Iran and European entities, despite the sanctions imposed by the USA following its withdrawal from the nuclear deal last year. Now that we have had the chance to carefully review and analyse the new, much–anticipated document, we are left in some doubt as to its real purpose: is it meant to benefit Iran, or the USA? Teheran, no doubt, has a natural (and quite realistic) expectation that this mechanism will be put into effect as soon as possible, especially considering the European Union’s less than adequate efforts and its delays in drawing up the document. As set out and agreed in the Declaration signed by the Iranian Foreign Minister and the governments of the above three European countries last May, the mechanism should cover other areas of trade between Iran and the European nations. For Teheran the economic aspects of the JCPA, and the way it is performed, are of great importance, and the Iranians will, no doubt, observe the way the European parties approach the performance of their obligations and draw the appropriate conclusions, which will affect and serve as a foundation for the development of future relations between Iran and Europe. 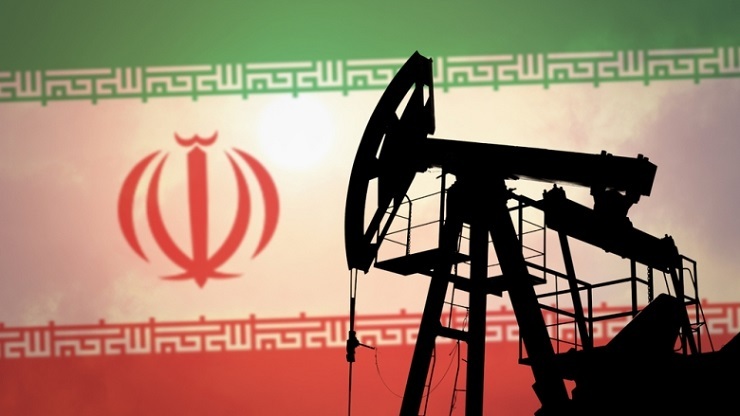 It is completely unacceptable to seek to make the implementation of that mechanism (which Teheran sees as an obligation under the JCPA) conditional on compliance with a variety of other demands. The country’s political leaders have stated on a number of occasions that the Islamic Republic of Iran is in favour of a constructive partnership with the European Union, as long as it is based on shared interests and mutual respect. Teheran has stated that if the European Union complies with all its obligations then the world, and the Middle East in particular, will very soon see an improvement in the relations between the two parties. Members of the Majles (the Iranian Parliament) have greeted the creation of the INSTEX special instrument, designed by the EU to enable legal trade with Iran, as the “right moment” to provide effective support to the Iranian economy, suffering as it is under the harsh US sanctions. Ali Larijani, the Speaker of the Majles, has stated that only when it is up and running will it be possible to say how effective the system is. Speaking about INSTEX, Sergey Ryabkov, the Russian Deputy Foreign Minister, has criticised the EU for its “double standards” in its relations with Iran. “The EU needs to set aside its double standards and stop trying to avoid irritating the Americans, instead it should do something to show Iran that it is making a real effort, it needs to make the right choice, make a decision that promotes real cooperation.” He emphasised that the EU, and many of its individual member states, had imposed restrictions on Iran which limited its rights guaranteed under international law and UN Security Resolutions. For example, European countries’ demands that Iran reduce or abandon its missile programme were dictated by their “wish to please the Americans”. Russia, however, considers this demand to be unacceptable and in the next meeting of the Commission for the Joint Plan of Action on the Iranian nuclear programme, which is scheduled to be held in March, it intends to explain why such a policy is both mistaken and harmful. We may recall other American “prophets of doom” such as Zbigniew Brzezinski, who also once confidently declared that the Islamic Republic would not last long and was bound to collapse. In 1980, when the USA incited Saddam Hussein to declare war on Iran, he predicted Iran would last no more than a week. But both Zbigniew Brzezinski and Saddam Hussein are now dead, and the Islamic republic of Iran continues as before. Looking at Iran’s current situation, it is evident that there is no foundation for such predictions, either now or in the foreseeable future. Although Iran, like any other country, may have its fair share of popular discontent, the general trend of public feeling is very different from what the American would-be conquerors and their fellow travellers would like to imagine.